I have developed a very unhealthy obsession while reading this book. Pure addiction at it's finest. If I had the ability to, I would have consumed this entire novel in one sitting. But life got in the way & my responsibilities were calling me. Obsidian is the type of story that stays in your mind, even when you've had to put it down. I couldn't get enough of this tantalizing tale about aliens and pure, hot lust. Yes, that's right. Ginger read a book about aliens. I know, so far out of my comfort zone. The story and the characters that projected it sealed the deal on my new found love for sci-fi in young adult fiction. If all alien based stories are as hot as this one, sign me up! Katy has just moved to this small remote town in West Virginia with her mother. They've escaped the confines of Florida to start over and heal from the loss of her father. Katy's personality is to keep to herself and she's perfectly fine with that. Her mother on the other hand wants Katy to branch out, make new friends, be sociable. With a set of twins about Katy's age living right next door, what better opportunity could come along. Immediately Katy and Dee form a bond. The two girls cling to one another and the makings of a best friendship begin. Dee's twin brother Daemon is not a fan of this new friendship one bit. Katy starts to realize there is something different about Dee and Daemon, but she can't quite figure out what it is. She also begins to realize the strong attraction she's developing for Daemon, even though he's anything but nice to her. As Katy and Dee become closer friends, Daemon takes it upon himself to keep a watchful eye. He's harboring a family secret and the last thing he needs is some human girl like Katy to come along and expose them. There were quite a few moments when I literally wanted to punch the living you know what out of Daemon. His character was so awful to Katy! I think what made it even worse is that she had no idea why. One minute he was hot, very attentive to her, and protective. Then the next he was ice cold, closed off, and such a complete d-bag. My heart had a serious tug-of-war with this character. I knew deep down, there was a soul somewhere. I could see it in the way he loved and protected his sister. There were also hints that he truly cared for Katy, but because of their family secret he refused to give in to those feelings. The tension between Katy and Daemon was off the charts! It's been quite awhile since I've read a book that literally left me fanning myself. This is another reason why I found it very difficult to put down. Just when you think these two characters are making progress, BAM! something comes between them and they're on opposite sides again. I adore this sort of passion in my books. Since this is the first book in the series, I prepared myself for a cliffhanger ending. I felt that the author gave us just enough to satisfy our craving, but left us wanting SO MUCH MORE. The crescendo towards the end of the book left my heart pounding for so many different reasons. I don't think I've truly caught my breath yet. I am more than eager to get my hands on the second book in this series and continue on with this exciting, passionate, and ADDICTING new story. Great review, G! 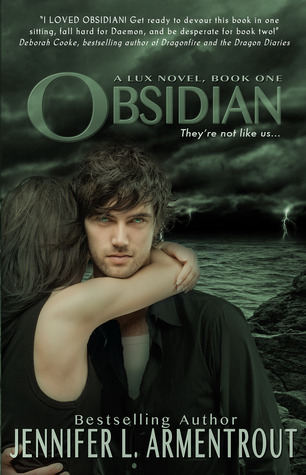 I downloaded my copy of OBSIDIAN yesterday, and can't wait to start reading! Woot awesome review! I can't wait to hear your thoughts on Shadows :) and then the hawtness that is Onyx!!!! This story is so additing and truth to be told, I would right now read it again! Just to spend some time with Daemon... gosh he's awesome! Jennifer is one talented and incredible writer and her books belong to the ones I instantly buy without thinking! Yikes - Obsidian sounds amazing! I'd never even heard of this series before your YAMM tournament, and now I can't wait to get started!!! Do I know you or what?! Halfway through I'm like 'G, I FOUND A GBOOK!" HAHAHA love seeing this show in your review! Love that you loved this! Okay so this was the second book I've heard a ton about since the YAMM tournament that I hadn't really heard of before (the first being Touch). I'd written it off since I'm not one for alien stories, but I'm starting to think this might be the one to go out of my comfort zone for. So much Obsidian love! I absolutely loved this book! 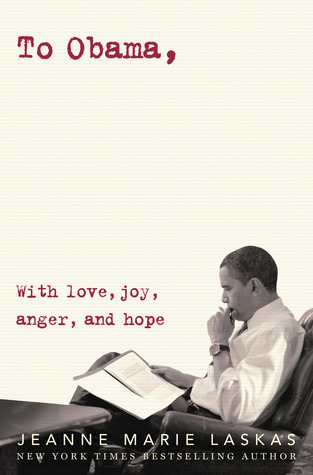 (actually I have loved everything written so far by Jennifer)..
A fantastic review, I sooo can't wait for Onyx. Ha, I know what you mean about this book being addicted! I sat to read one chapter but ended up finishing it instead. I agree with you about the ending, I'm excited for Onyx! Great review! I didn't think I would like this one because of the alien part, but now I really wanna get my hands on it! i felt the same way. i couldn't stop reading it. now i want book 2! great review. I knew you had read this one, I purposely searched it out. I had to see what you thought. I just got this one at BEA and now I'm really excited to read it, thanks to your review. I've been picking up quite a few books that feature aliens lately and I've been liking them well enough, so this stands a good chance of becoming a book I really enjoyed. Your review is great, so thanks!